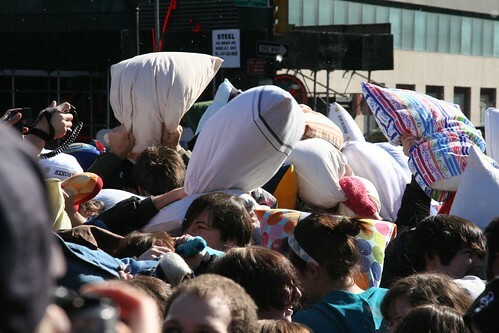 Yesterday there was a moment of madness in the city, a Pillow Fight organised by newmindspace. An absolute blast, an urban maul in Union Square, where the cameras, both amateur and professional, nearly outnumbered the fighters. This entry was posted in events, fun by Rachel. Bookmark the permalink.